Indulge in the sensuality of the Nesti Dante Dei Colli Fiorentini Iris Soap, a vegetable-based cleansing bar. The aromatic bar takes you on a fragrant journey through the wild and beautiful Florentine Hills, where flowers and greenery grow in abundance beneath the clear blue sky. The lucky properties of purple Iris ensures a state of well-being for both the body and the mind, while the vegetable base works to nourish the skin whilst gently ridding it of dirt and toxins. 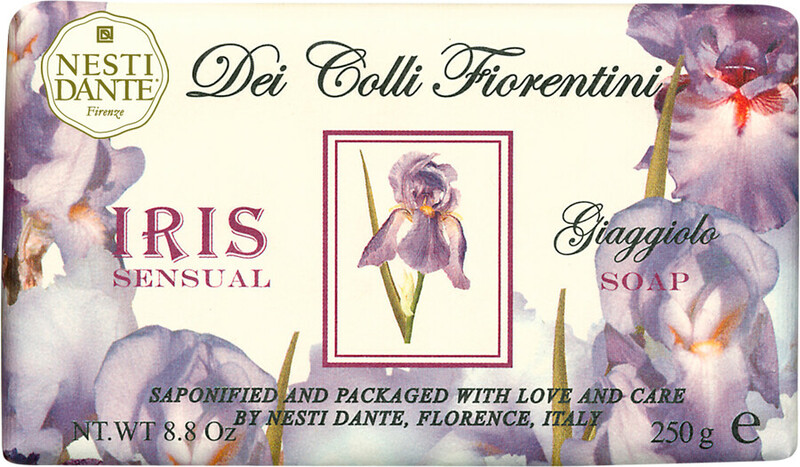 Nesti Dante Dei Colli Fiorentini Iris Soap 250g is rated 5.0 out of 5 by 1. Rated 5 out of 5 by Nannuliini from Nice smell I bought this because I fell in love with it at my friends house. It smells wonderful and lather is very soft, feels great. It does not make my skin feel dry, it's so soft. Soap is quite huge, too huge if you ask for me, but because of it, one soap last long time. I will buy more.